The latest descent into adolescent sophistry, scatalogical humor, and irredeemable buffoonery is upon you, folks. Gnash your teeth at The God That Forgot You and curse It for allowing us to continue our podcast. This latest iteration covers a typical gamut of garbage. If that hasn’t sent you away, we also mock both Liberals and Trumpers, have half-hearted conversations about Doctor Strange and Arrival, and psychoanalyze Bateman’s childhood pants-shitting and subsequent life-long catastrophic psychological trauma. 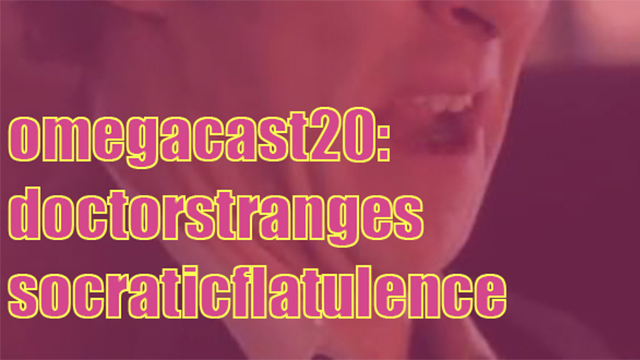 The post OMEGA-CAST #20: Doctor Strange’s Socratic Flatulence appeared first on OMEGA-LEVEL.